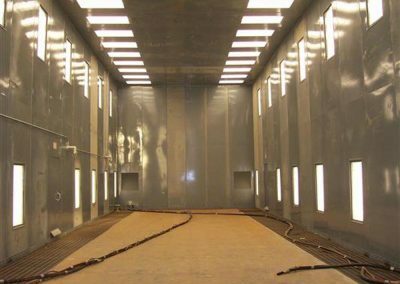 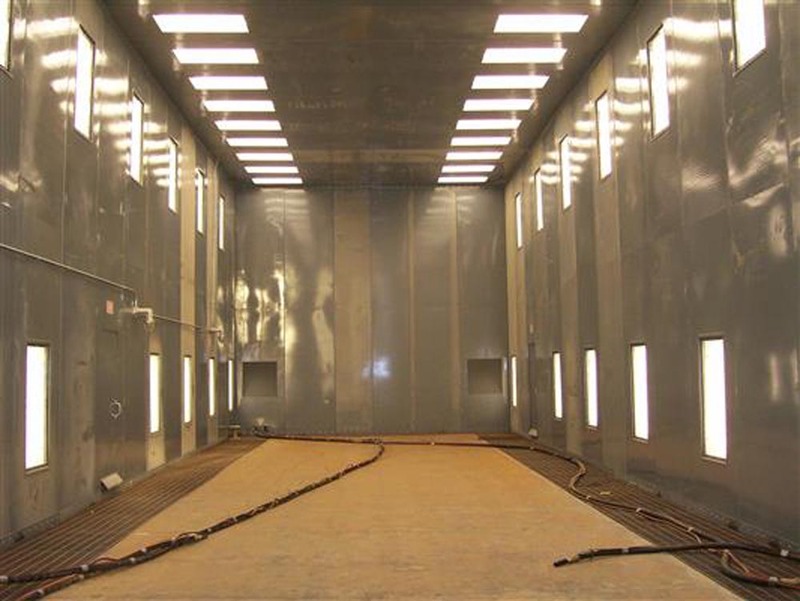 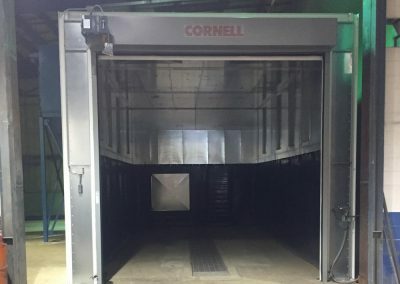 Instead of utilizing harmful chemicals to strip paint, sandblasting booths use high pressure to propel abrasive materials on surfaces to remove paint, which is just as efficient yet keeps your workers safe from toxic substances. 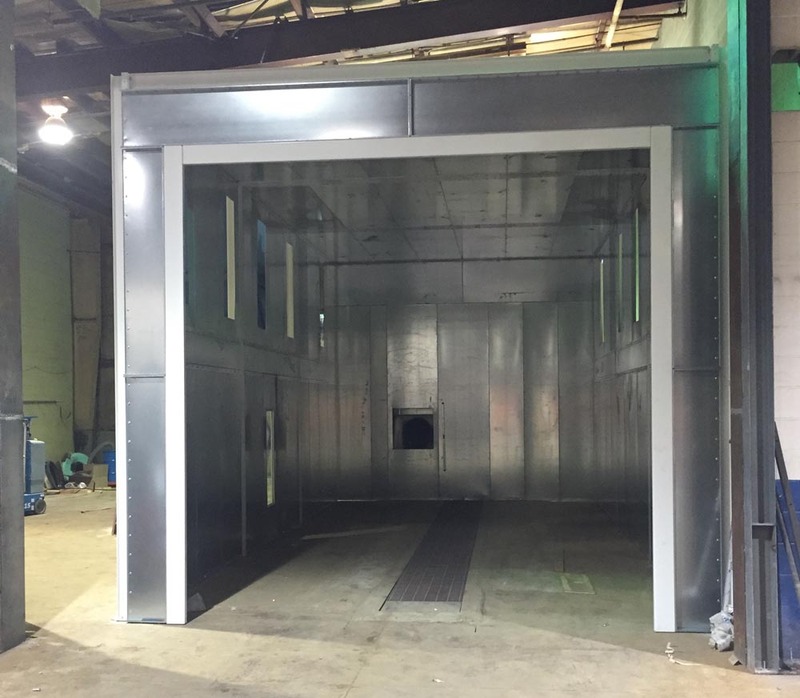 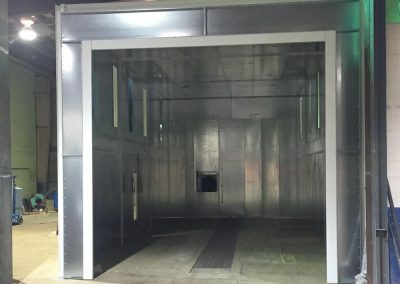 Our sandblasting booths can be customized to meet your shop needs. 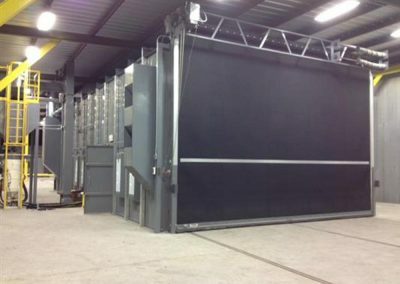 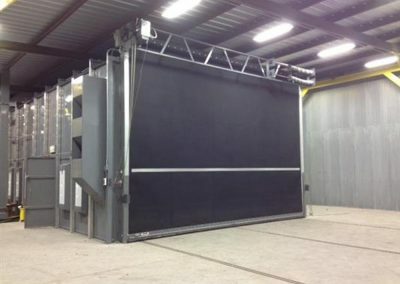 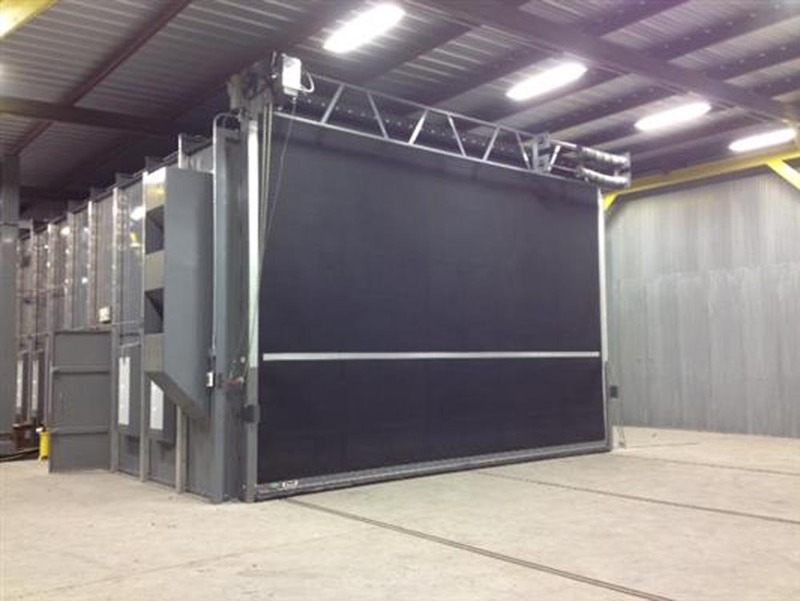 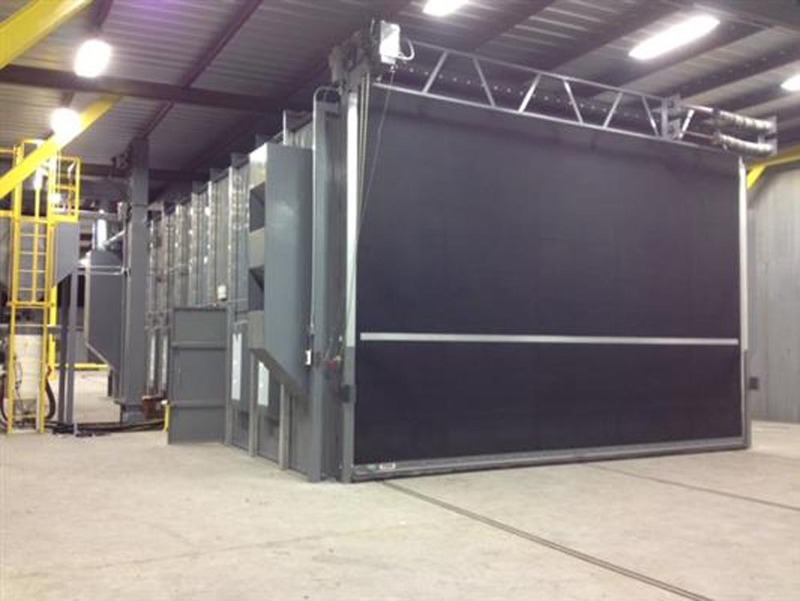 The sand blasting booth wall and roof panels are 10 gauge steel cut by a CNC plasma table. 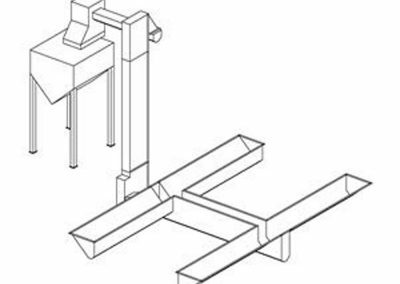 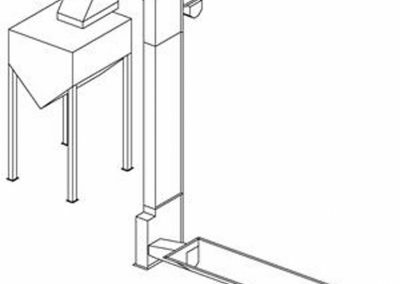 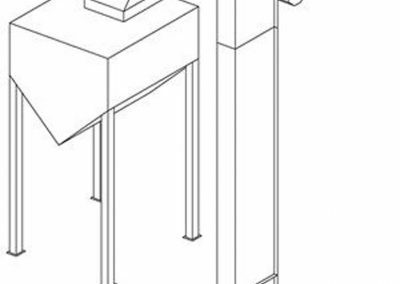 This method ensures the accuracy of all dimensions and bolt hole alignment. 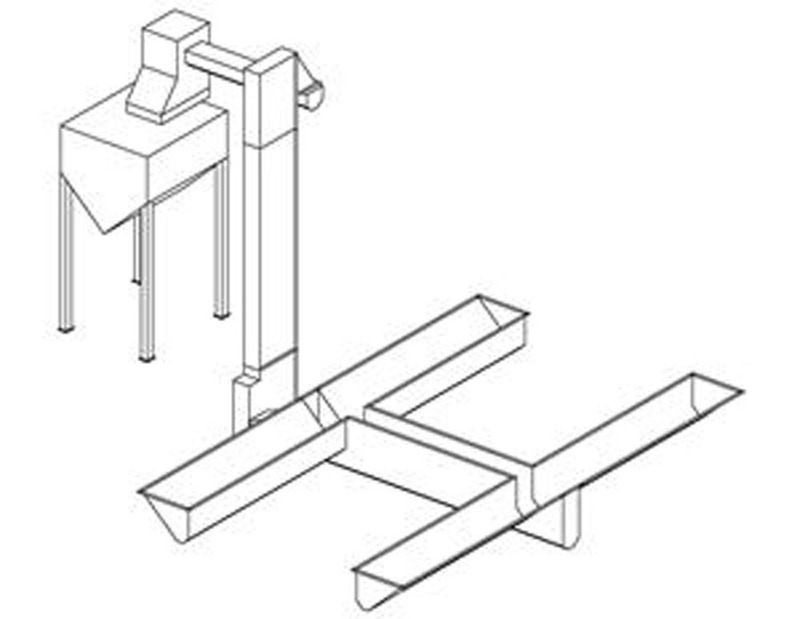 Aluminum seam caps are installed at each panel junction. 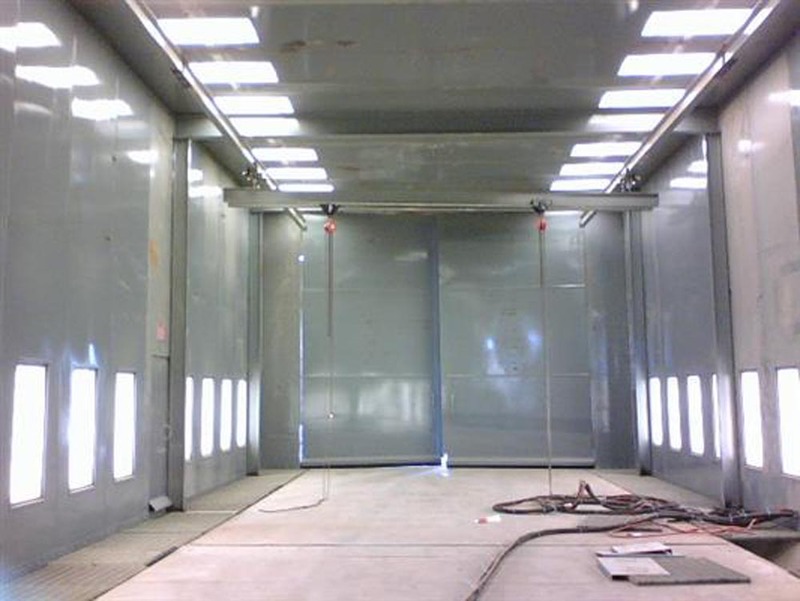 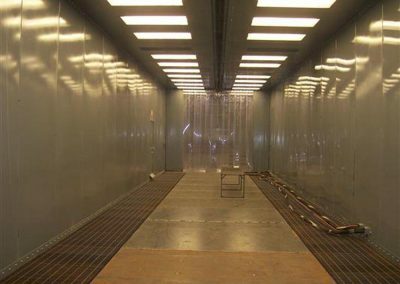 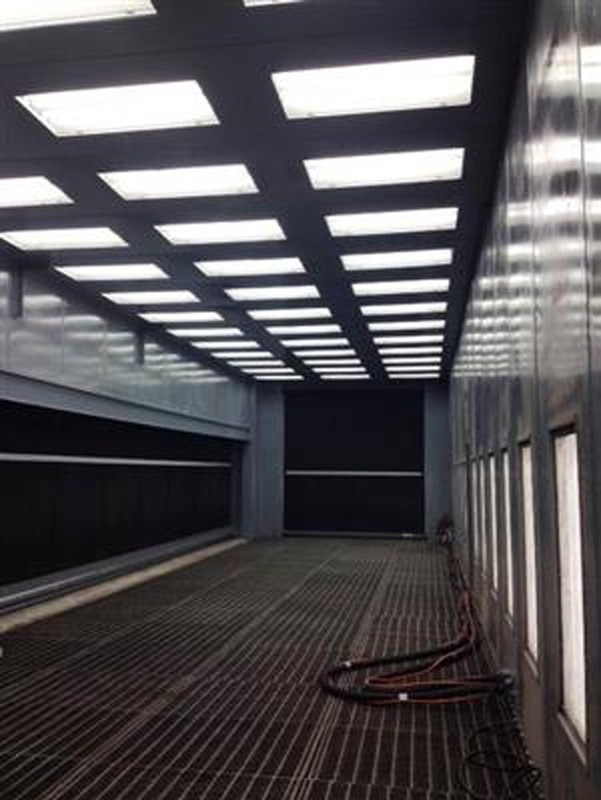 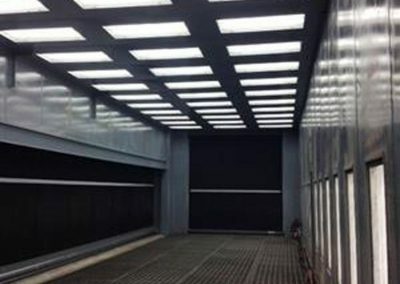 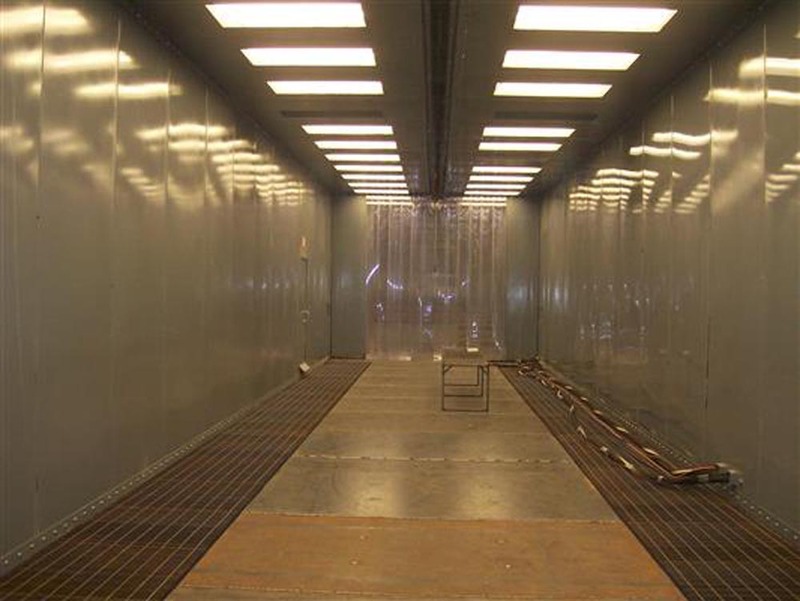 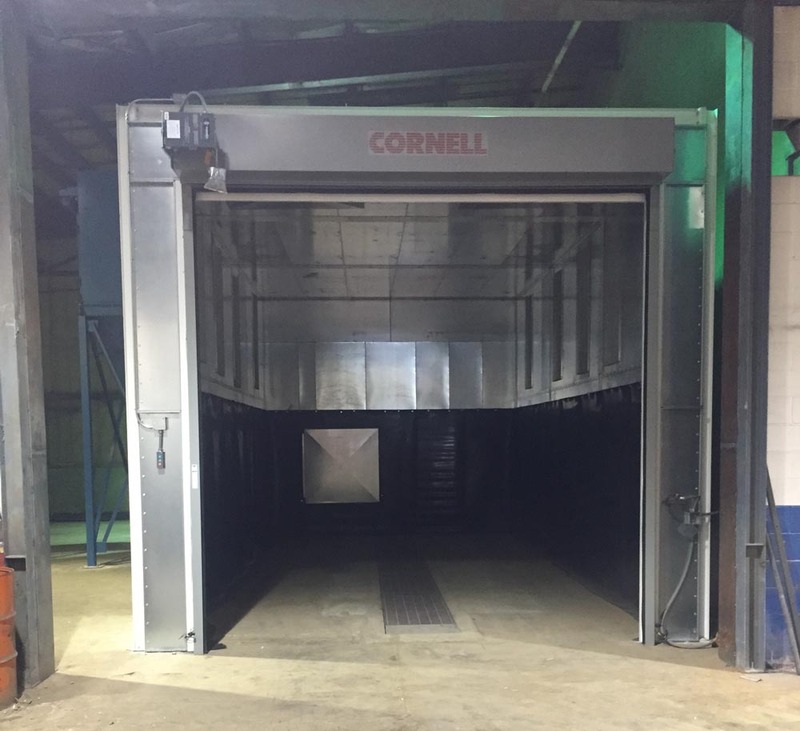 All of our sand blasting booths are equipped with fluorescent light fixtures. 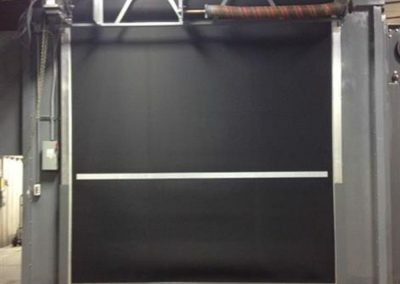 Wall lights are protected in 10 gauge housings behind ¼” thick Lexan blast covers. 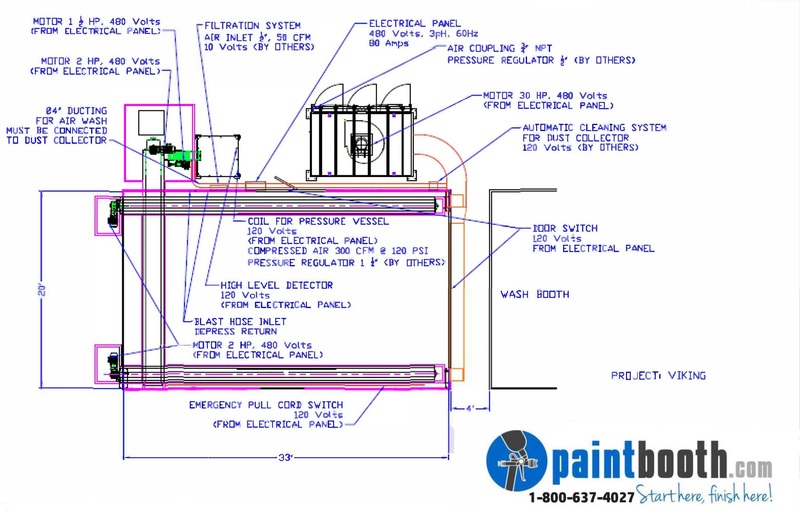 Silicone is provided as sealant for all light fixtures. 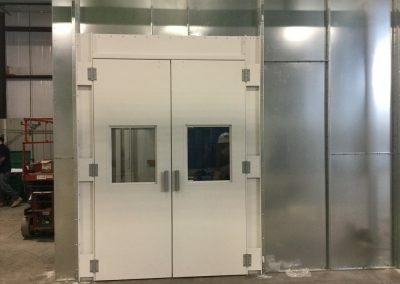 Entry and exit work doors are fabricated with heavy wall tubing and double lined with 10 gauge skins. 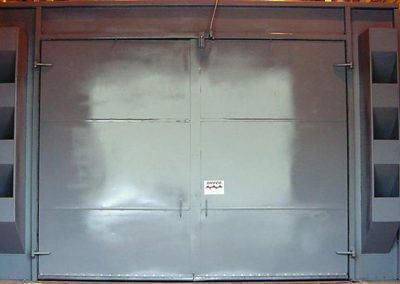 All door exterior edges are sealed with heavy-duty rubber. 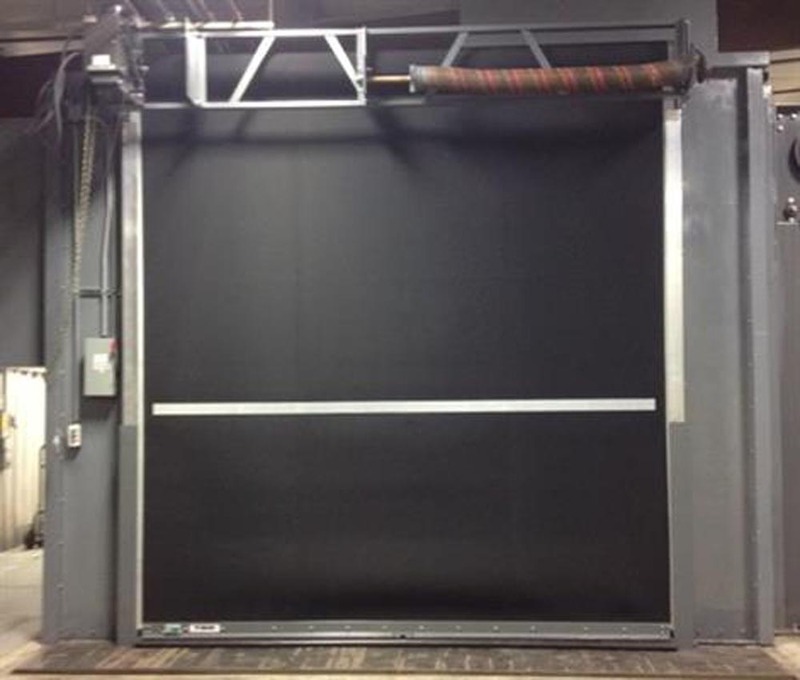 SBR curtain, allowing for smooth operation. 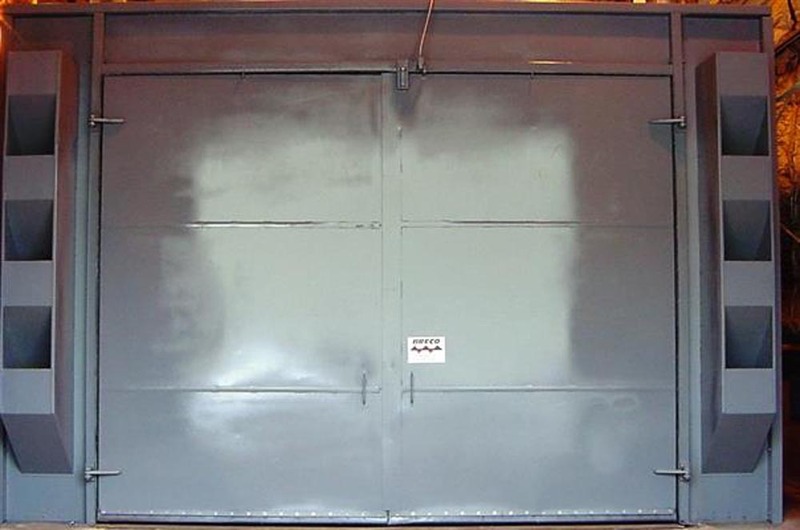 Doors come with reversing edge and thru-beam photo switch safety features. 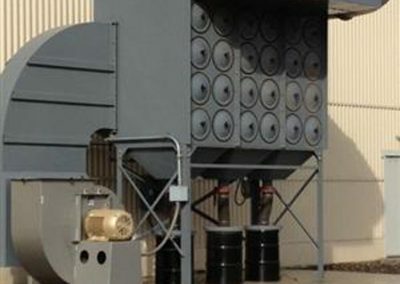 Whether catching blast dust or torch table fumes, we have a collector for you. 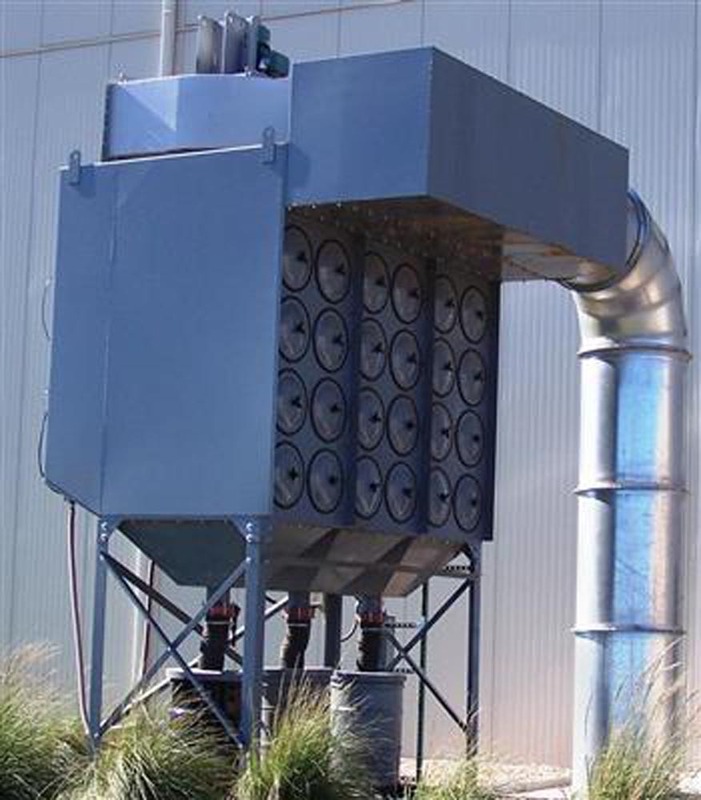 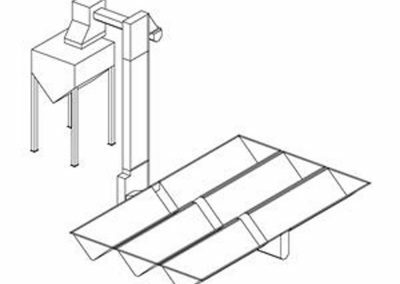 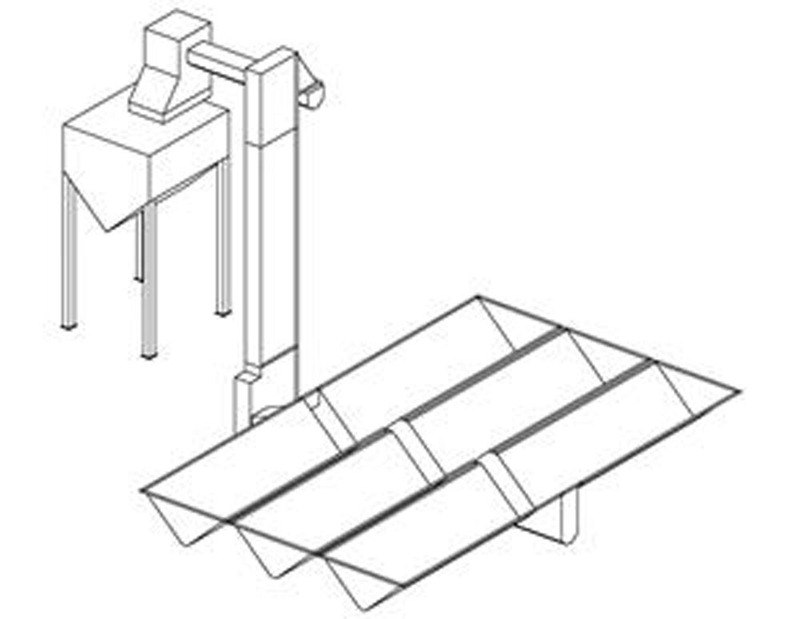 Our dust collectors are manufactured of 3/16” plate. 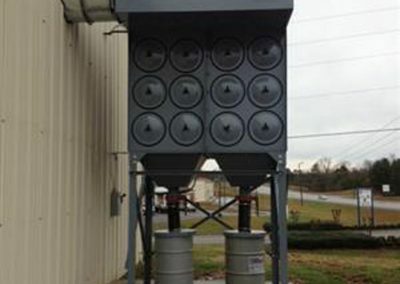 We use the most common size of filters so most brands or types fit our systems. 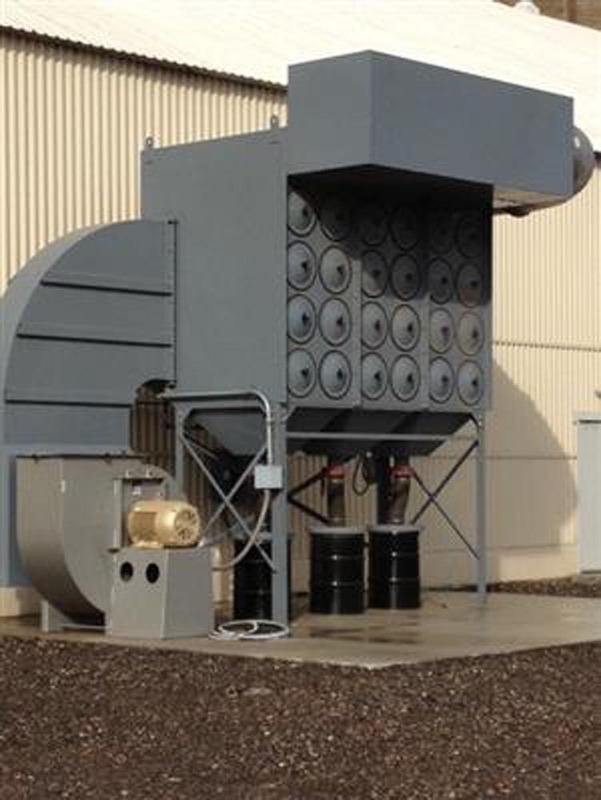 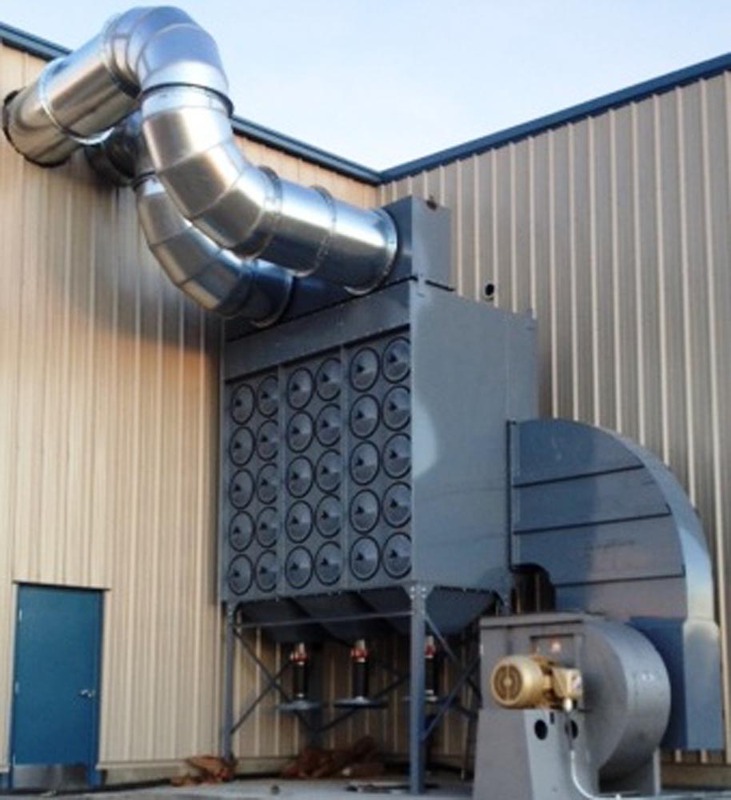 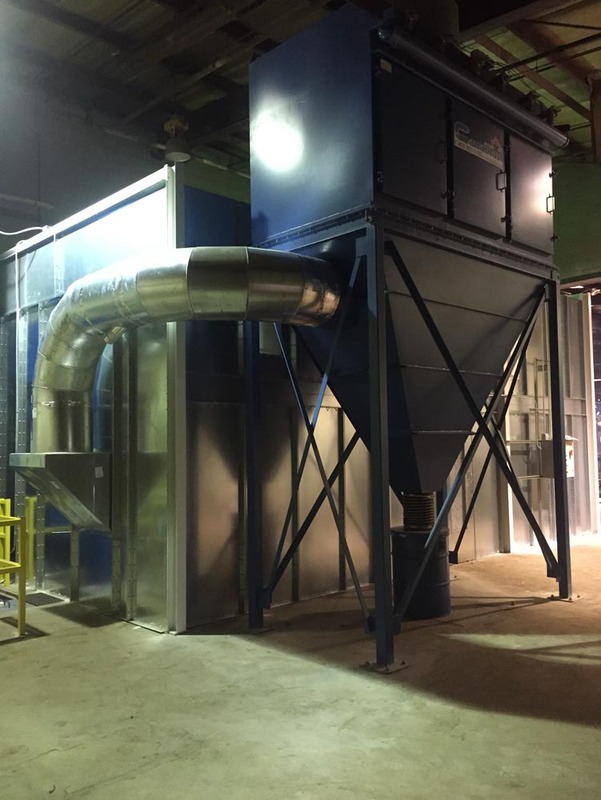 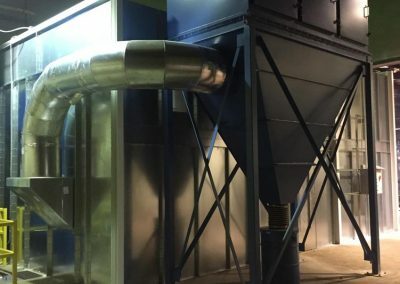 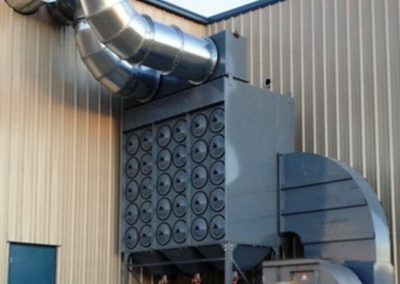 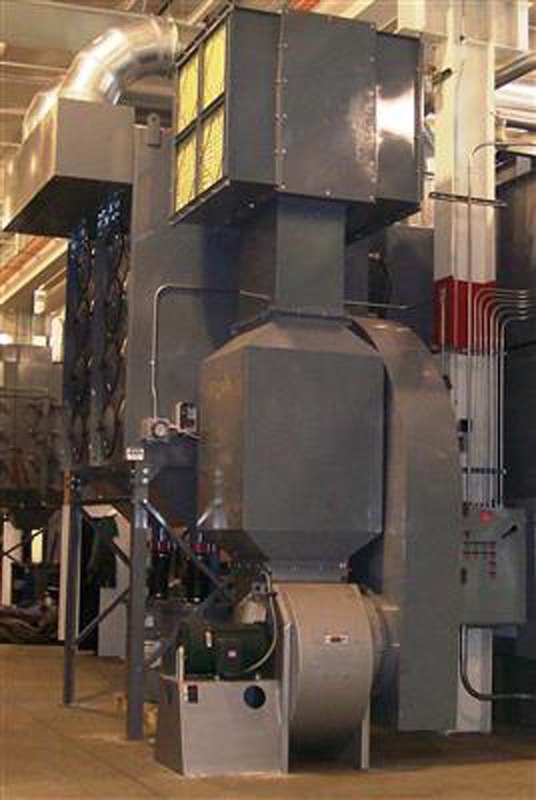 We can provide after filters for dust collectors installed indoors. 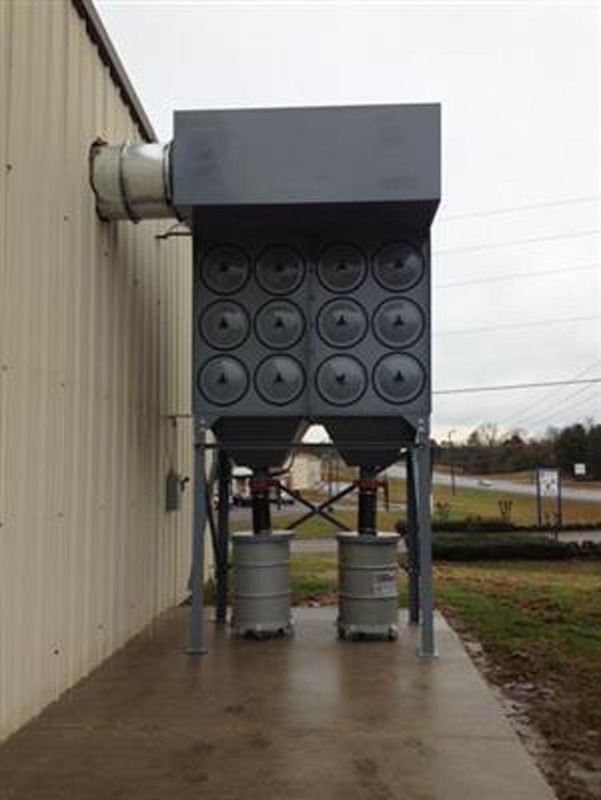 HEPA rated filters are used to ensure clean air is returned into your facility. 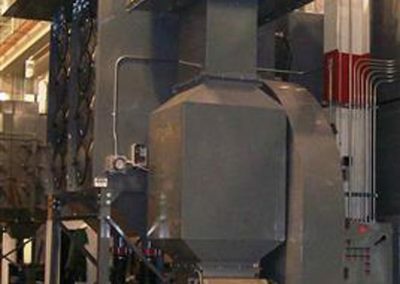 Reclaim or recovery systems allow abrasives such as steel grit, steel shot, aluminum oxide and glass bead to be reused multiple times saving the user time and money. 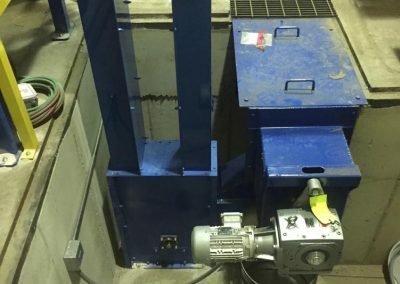 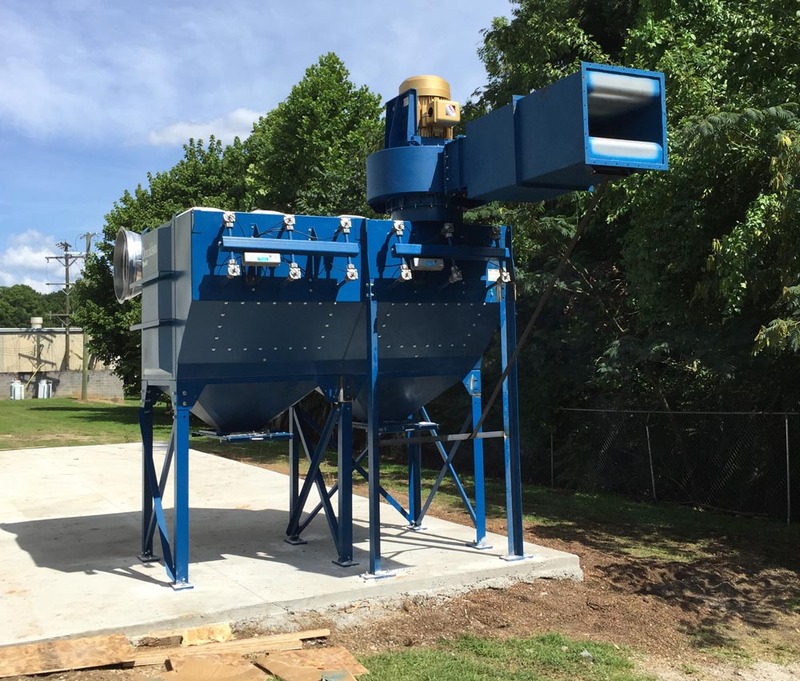 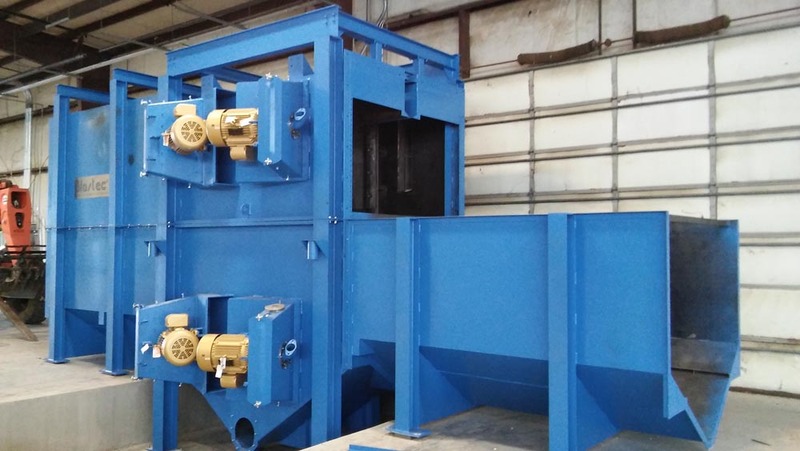 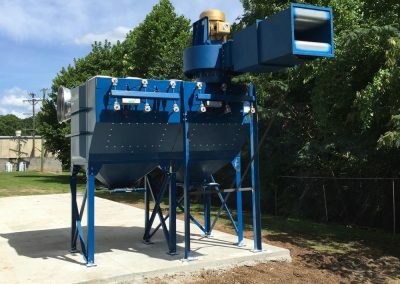 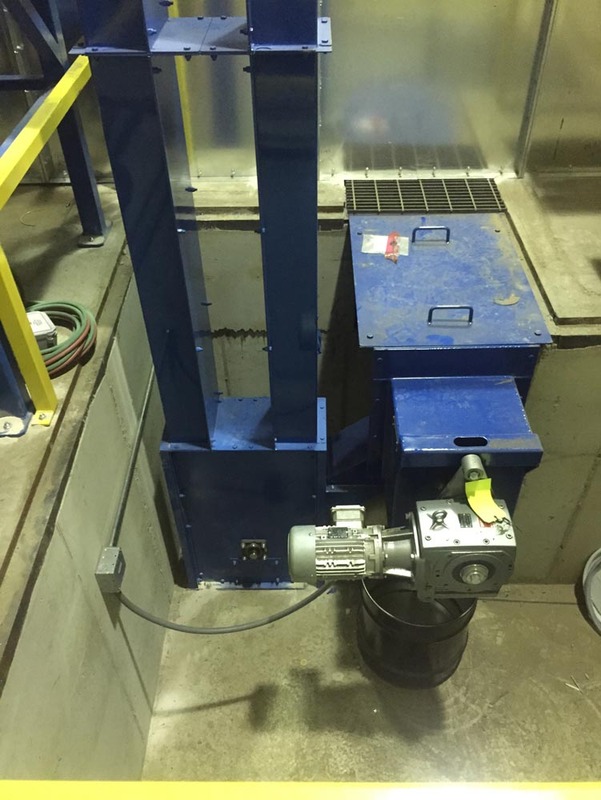 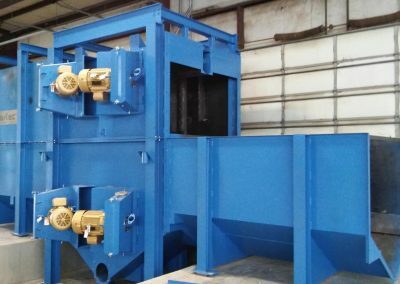 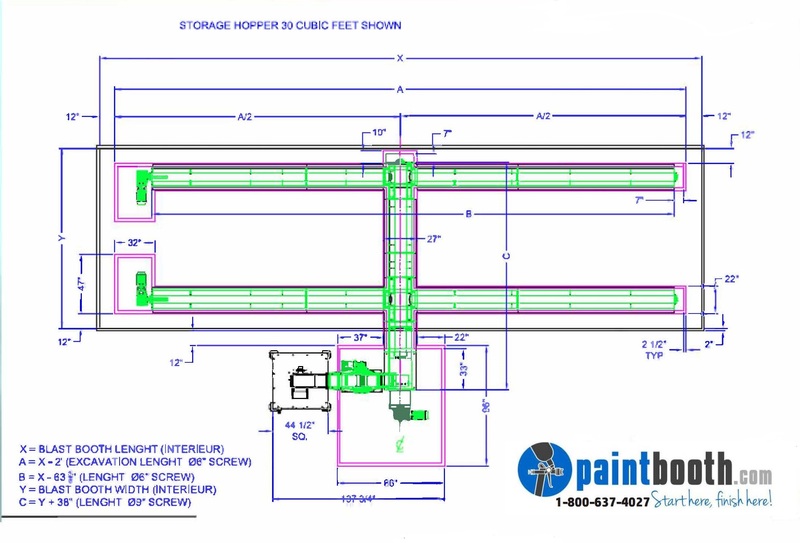 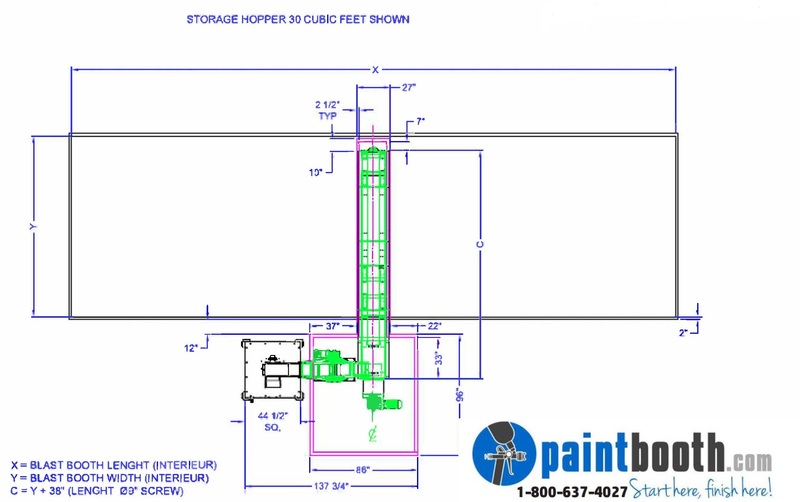 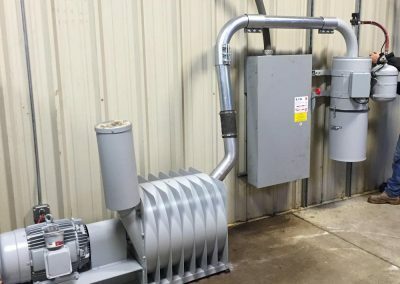 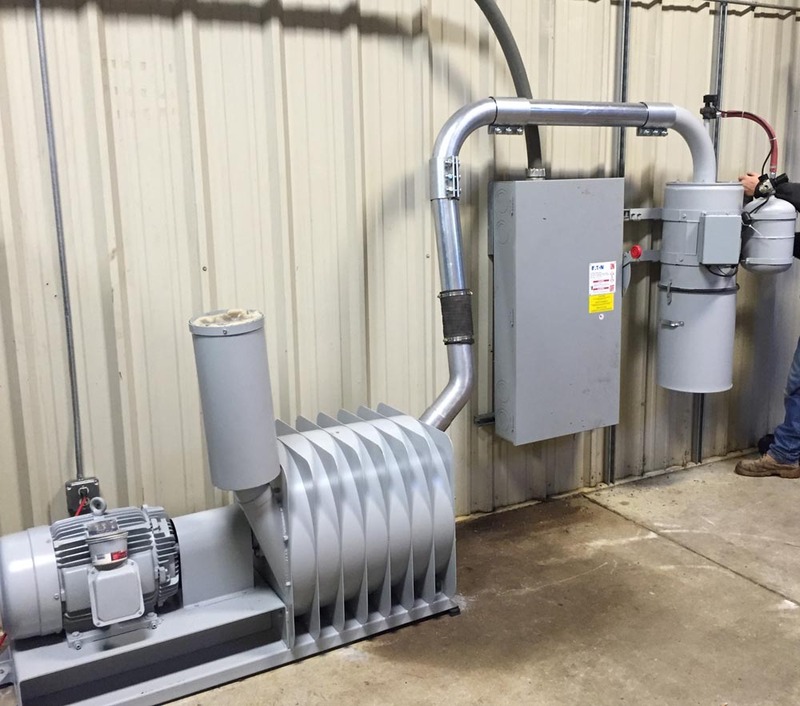 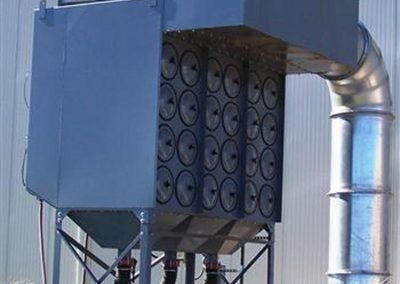 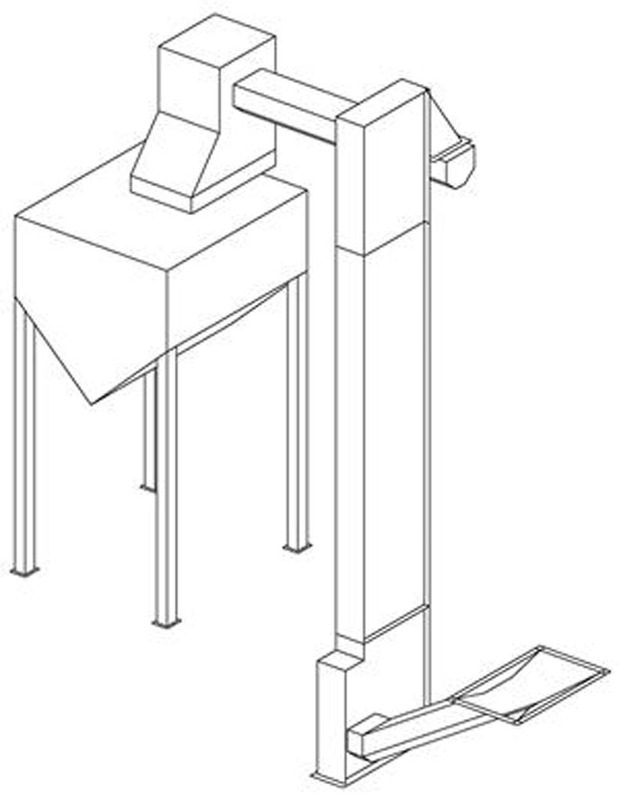 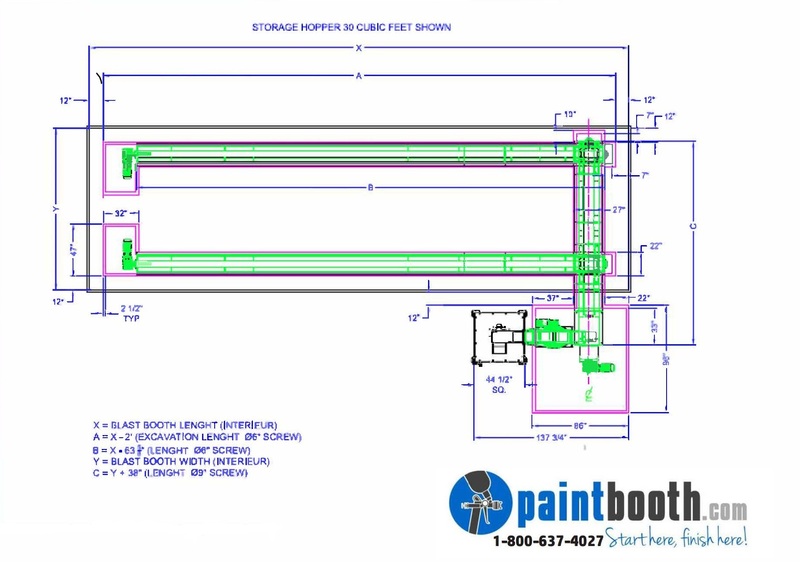 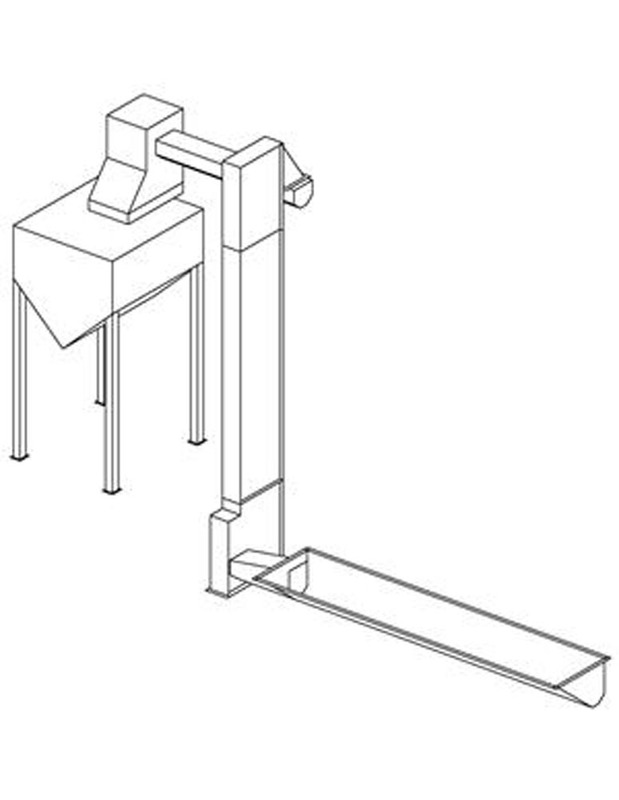 We custom manufacture several types of reclaim systems for each customer’s specific situation: sweep-in or shovel-in systems, single auger systems, h-pit style systems and full floor recovery. 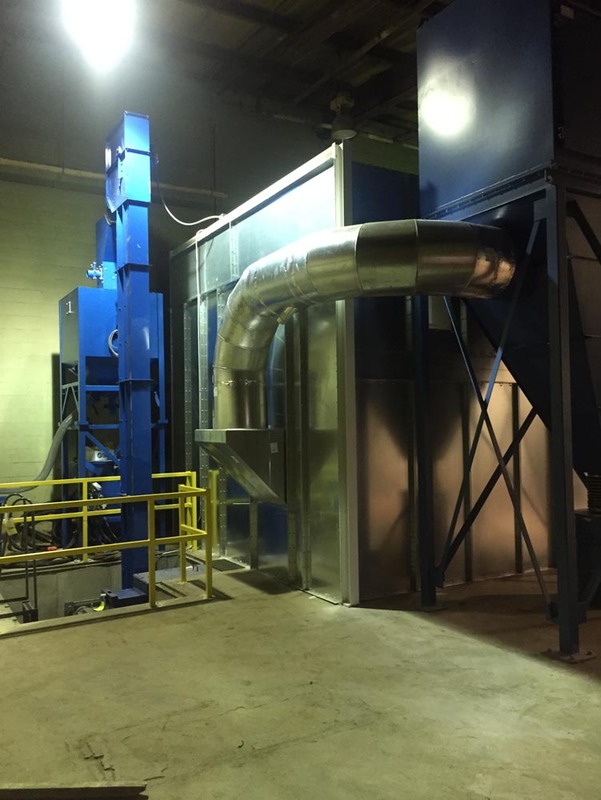 You can end up recycling about 95 % of materials to greatly cut down on consumption costs. 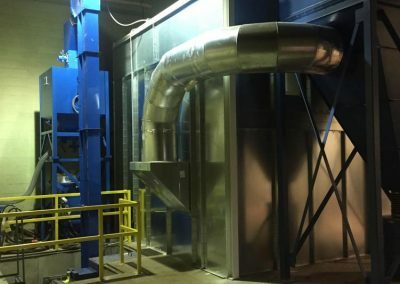 Our factory trained installation crew can get your new Sandblasting Booth installed correctly and quickly.